Give power to your pout with the magic of matte. 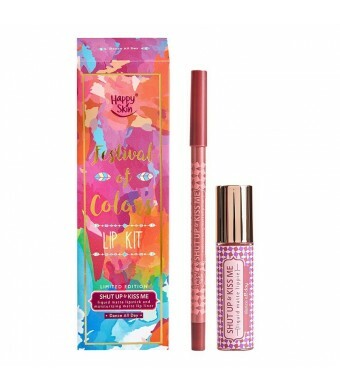 The Happy Skin Festival of Colors Lip Kit features a Shut Up & Kiss Me Liquid Matte Lipstick and Shut Up & Kiss Me Moisturizing Matte Lip Liner. 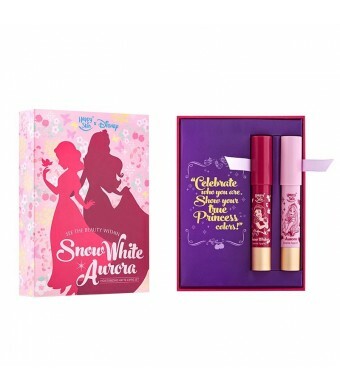 Both deliver a pigmented pout with an ultra-matte finish. Expect the liquid matte lipstick to glide on with high impact and intense color. 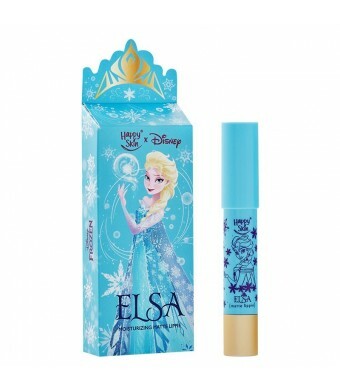 Its long-wearing formula is impressively hydrating but stays put. The super smooth lip liner keeps your lip color locked in place and prevents feathering. Boasting the perfect balance between dry and moist, this lip liner goes on creamy and never tugs, but lasts all day and never bleeds. Dance All Day with an earthy mauve hue, or celebrate with Happy Skin's signature lip colors of Honeymoon Glow, a warm peachy pink, and The Morning After, an iconic pink mauve. Even with its trendy matte texture, this lip kit has the ability to keep lips hydrated underneath-thanks to star ingredient Cupuaçu Butter, which originates from the Rain Forest. It offers unrivaled hydration, healing, and improved elasticity.